But we met in the city and Lonnie should have her navel pierced and Maja should have a upper ear pierced as well. 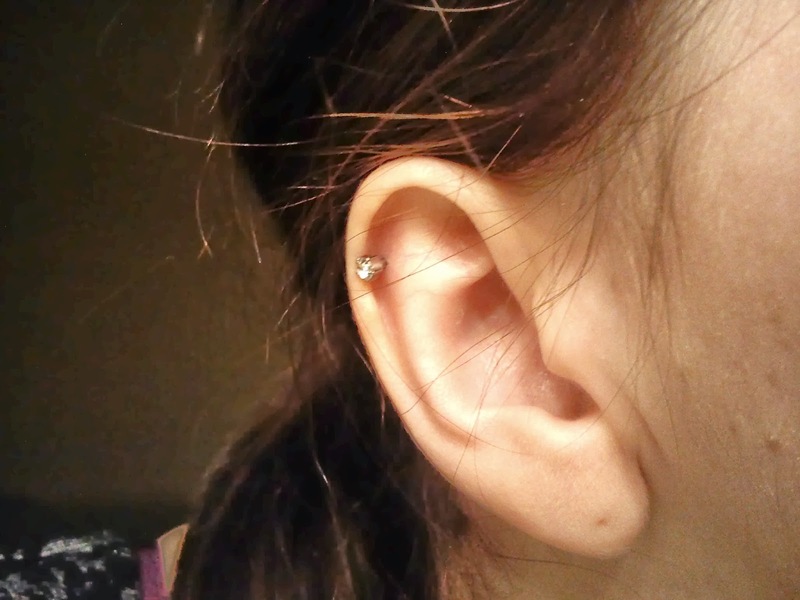 I have been thinking about getting my upper ear pierced for a long time too (i actually made a deal with myself, that i should do it the same day i got my driving license), but i simple never dared to do it, but i did it this time! I saw Maja do it and even though they laughed at me when i sat down in that damn chair (grrrh), i did it! Aargh! Uh! And even though i walked past it sooo many times but i did buy the Fahrenheit game this time xD it was super cheap but i don't know yet if my computer is too new to play it, because it's from 2005 and made for a windows XP. It is one of my biggest problems lately now that i have the time to play my old games again.